Attend the Emerson info session next Tuesday. CSE students are invited to attend the Emerson info session on Tuesday, Feb. 12 from 12-1 p.m. in Nebraska Hall (W128). Emerson is currently hiring mechanical, materials, chemical, agricultural, electrical, computer, and software engineering majors for full-time and co-ops. 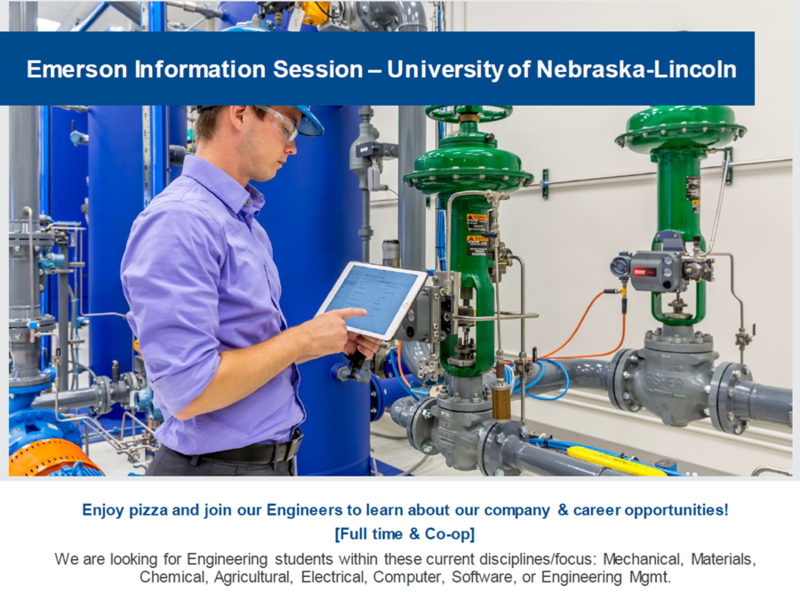 Enjoy pizza and join Emerson engineers to learn about the company's career opportunities!